When it comes to dinner time, I’m all about easy! I’m also dealing with picky eaters, so I have to stick to some basics that I know my family will eat! 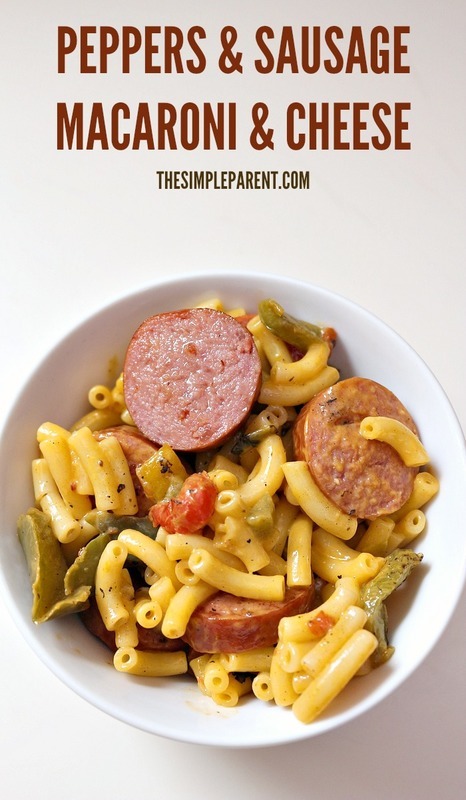 Our easy Peppers and Sausage Macaroni and Cheese recipe is so family friendly, I would have made it anyway! Try it out with your family this week! Back to school is right around the corner and fall baseball is starting in a few weeks. That means it’s about to get busy around here! Weston is starting kindergarten and Carrigan is starting preschool. Add swim lessons to the mix and family dinners have to be easy! 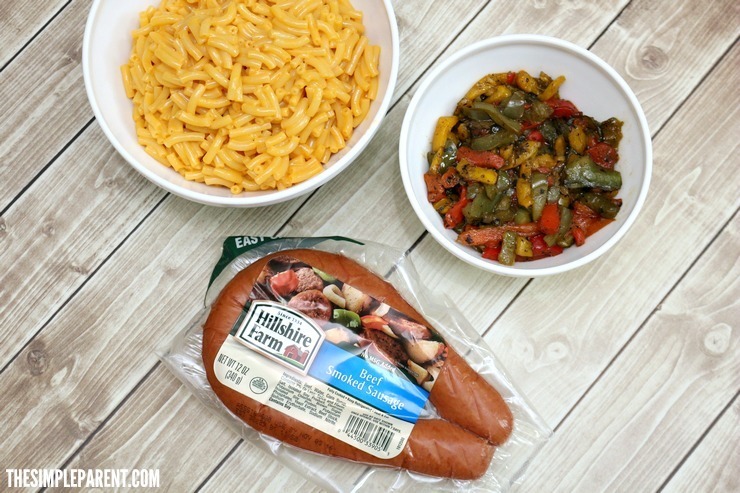 Dinner time with the family using Hillshire Farm® smoked sausage is definitely easy and full of authentic flavor! Justin loves it and I love the convenience of being able to pick everything up at Walmart! It all depends on who I’m cooking for and what flavor we’re looking for! For our most recent family friendly dinner, we opted for the ‘Beef Smoked Sausage’ which is the flavor I use the most around here. 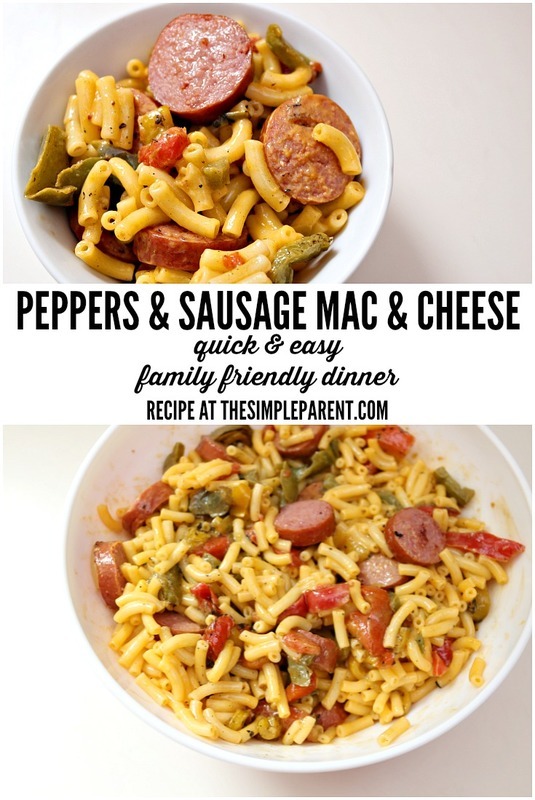 So check out how easy it is to throw together our ‘Peppers and Sausage Macaroni and Cheese’, then add it to your weekly meal plan! Prepare the macaroni and cheese according to the directions on the box. Slice Hillshire Farm beef smoked sausage link into half inch thick slices. Bring 2/3 cup of water to a boil in a large skillet. Add sausage; cover and reduce heat. Simmer for 10-12 minutes or until heated thoroughly, turning once. If browning is desired, drain water and heat for 3-4 minutes or until browned, turning frequently. 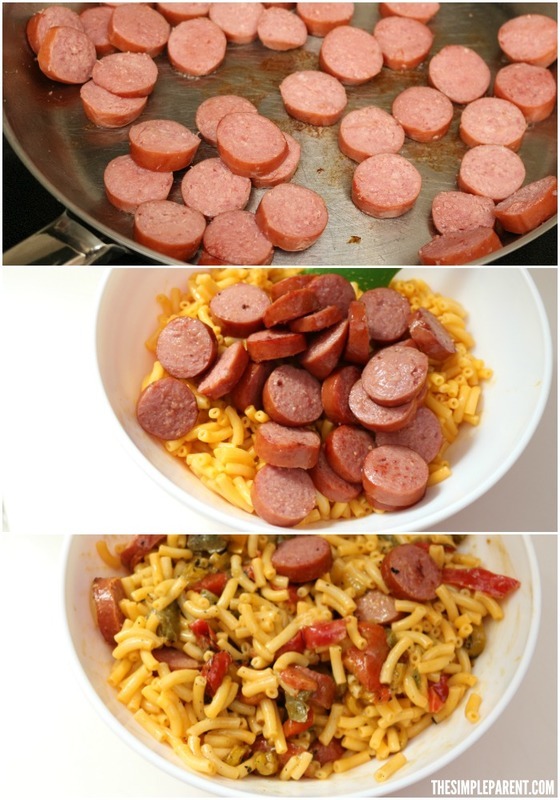 In a medium skillet, add 1 Tbs. olive oil and add frozen peppers. Cover and let cook for 4 minutes, stirring once. Uncover and cook for 2-4 minutes until vegetables are heated thoroughly, stirring once or twice. Place macaroni and cheese in a large serving bowl. Fold in sausage and peppers. 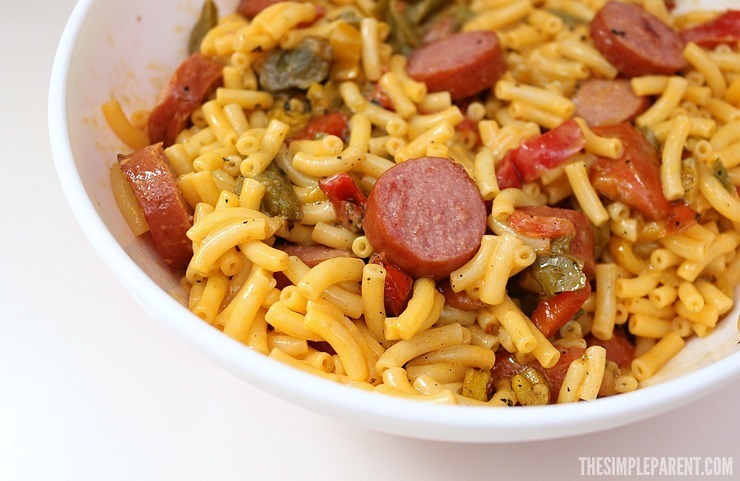 If you get all of the parts of your ‘Peppers and Sausage Macaroni and Cheese’ going at the same time, your meal will be done in less than 30 minutes for sure! It’s perfect for busy nights when you still want to have a great meal with the family! Hillshire Farm is a family business and we love that they’re bringing great authentic flavor and high quality products to our dinner table! For more great family dinner ideas, be sure to visit Hillshire Farm, your local Walmart, and start planning dinner!